So I’m not going to say that the Pro Tour went as planned, because quite frankly I was a little too vague in my expectations (other than me saying that this wouldn’t be Pro Tour: Bant Company, which was both somewhat obvious and correct). The question that we should be asking right now is not necessarily “okay, so the Pro Tour happened, now what do I play?”, rather it’s “how will this information influence the existing environment?”. We’ve talked before about some of the things that make PT weekends aberrant to other weekend-long events, but that information is still going to color the format for the next three months. How do we make sense of it, and more importantly, how do we do so before everyone else? I want to clarify at the top that I don’t think Bant Company is a bad deck. In fact, it is probably still one of the absolute best decks in the format. In fact, what we’ve seen from PT:EMN (and a little bit at SCG Baltimore, if you knew where to look) suggests that even when Bant Company isn’t performing well, it is having a profound effect on the metagame. What we are seeing in response to Spell Queller is a prioritizing of cards that cost  or , the latter for its natural “immunity”, and the former for the gained versatility of casting multiple spells a turn. One of the best “answers” at  seems to be Tragic Arrogance, a card that may be able to have a final bump in price (it’s less than a dollar currently), although I’m not sure that it would be sustainable. If you have these in your binder, try to leverage them into something equally low in price but with a slightly higher upside (my personal favorite targets are Planar Outburst and Epiphany! at the Drownyard1). The environment going into the Pro Tour was probably not a stable one, just because weird things like card availability have more of an impact one or two weeks in versus as many months. 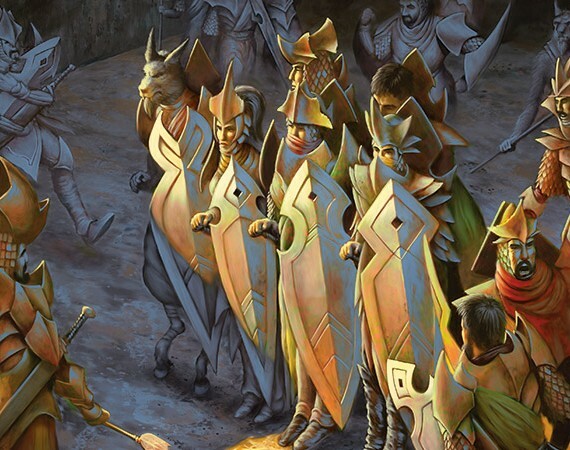 At the same time, I don’t think that the Pro Tour really solved anything, just because so many people were already aiming to take out Bant Company just as everyone else was noticing it. I genuinely expect Bant to have several more strong showings, just because the deck is proactive rather than reactive, and in tournaments with wide skill levels (Opens, GPs), being the player with a clearly defined plan of attack is going to be an instant source of percentage points. At the same time, the format only had to bend to accommodate it, not warp entirely (as was the case in Affinity-era Standard, where you essentially maindecked as much artifact removal as you could). Looking ahead, I expect Bant to be the deck that always has a presence in a tournament, but doesn’t ever really sweep an event. 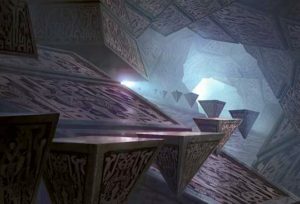 Most of the Bant decks in a Top 32 will be in that 9-16 range, just because they are always going to have to jockey against one another, and there doesn’t seem to be a true mirror-breaker sideboard strategy. Collected Company isn’t Squadron Hawk, but it does put two into play. One of the cards that I like coming out of this weekend is Distended Mindbender. DMB (although his fans just say ‘Dave’) works at a really interesting axis, and he has been on my modern workbench for a week or so now. In Standard the opposing clock is slower and there is more diversity in casting costs, so he is theoretically better. It’s also worth mentioning that even though we don’t have things like Eldrazi Temple or Noble Hierarch (which serve as pure accelerants), all of the best three drops in the Eldrazi decks are also in Standard (with  being the casting cost where you are able to Emerge on curve as a virtual ). My testing so far has indicated that Elder Deep-Fiend may end up being the better option, at least in the more aggressive Eldrazi builds, but I definitely think DMB has the talent to crash… into top tier standard decks. At under $3, these seem like a solid buy. It’s also possible that Emerge is still being “solved”, and that the mechanic gets more popular. This doesn’t make Emerge, it only makes it better. In terms of price movement following the PT, we’ve seen Liliana, the Last Hope begin to level off and begin her descent back to reality, while Emrakul, the Promised End (a card that is precisely as rare as Lili!) sits at under 2/3rds as much. While Liliana almost demands to be played in heavy multiples (partially because she’s so easy to kill off), Emrakul is pretty well spread-out as a 1-2x. Perhaps the best card to pair Emrakul with, Traverse the Ulvenwald2, also saw a considerable bounce, while Den Protector (maybe the best single card to pair with Liliana) is just coasting on her way out of Standard. I still haven’t personally played with Lili yet (and I recommend avoiding buying in still), but all of the people I’ve talked to have had mediocre reviews or worse. Staying in GB, Grim Flayer has had a slight uptick, which ended up preventing what looked to be a slide heading into the PT. I’ve heard mixed results here also, and it sounds like Sylvan Advocate is probably the preferred play at  in green. Gisela, the Broken Blade is down about $10 since release, and I think that once she slides to around $8 I’ll buy in. I don’t expect Gisela to see any meaningful play until Collected Company (and the inherent reward for playing creatures that cost three or less) cycles out. Some off-hand stuff to close: Selfless Spirit seems like it is probably strong enough to stay above average for a rare, but I don’t know how long that translates to “above $6”. Eldritch Evolution seems appealing at around $5, just because it feels like the kind of card that is very close to breakable. Mausoleum Wanderer really seems like a card that’s almost as good as Selfless Spirit, especially if Spirits end up really making it in Modern. If that deck does have legs, Eldritch Moon as a set is going to hold value in 5+ years. In the mean time, standard sets seem to just be cratering in value once they get a few months out, so be very picky in anything you are buying now that isn’t to play with right away. And lastly, Prized Amalgam had a healthy increase off the success of the UB Zombie deck, which I can confirm is very fun to play. We don’t have any serious graveyard hate (a la Tormod’s Crypt) right now, so enjoy filling up your ‘yard while you can. 1I never really got into this band. 2The beauty here is that the card serves as virtual copies while not requiring you to actually OWN multiple Emrakuls, while also fudging some of your other numbers. It also reduces the likelihood of actually drawing Emrakul, which is not great. I also did not like DMB. I regret selling my Lili so early after the pre release but such is life. 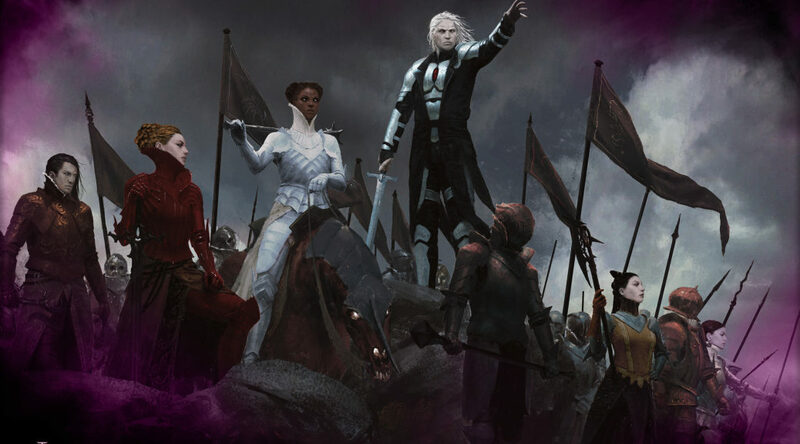 Like a few of you have said about colorless card support I’m looking to pick those up now as well as waiting to see Sigarda’s aid come down to 25-50 cents to buy as I think that will be a great speculative buy for the upcoming set. I definitely think Sigarda’s Aid at bulk prices is going to feel like a steal in a few years (worst case).